Cockroaches and Restaurants – Where There is One There Are Many! You Won’t Just See One! Restaurant owners must be vigilant to keep cockroaches from invading their building. 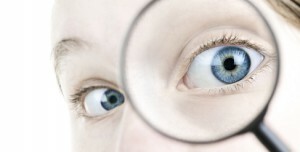 Just one sighting of a roach by a customer can have a devastating impact on the reputation of your business. German cockroaches are enemy number one for restaurant owners. They’re adaptable, reproduce quickly, and carry bacteria like E.coli and Salmonella. German cockroaches have an average lifespan of about 20 weeks. They mature quickly and are able to reproduce just a few weeks after hatching. Females produce about seven egg capsules in their lifetime with approximately 48 eggs in each capsule. It’s estimated that one female can be matriarch to as many as 35,000 roaches in a year. Cockroaches move around at night. If you see one scurrying about in your restaurant during the day, it likely means their hiding places are overcrowded, you have a major infestation, and it’s time to call Stern for NYC commercial pest control services. 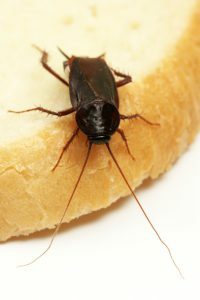 According to ScienceNews, the gut bacteria (Blattella germanica) in young German cockroaches has a distinct smell that attracts other roaches when it is excreted. This could be why roaches cluster and perhaps gives each roach colony its own aroma. We have been providing NYC commercial pest control services for more than 17 years and can quickly eliminate any size of cockroach infestation. We will also help you develop a plan to prevent future problems. Contact us today. Here are Some Tips on Distinguishing Between Two Types of Cockroaches. Since their discovery in the U.S., the Asian cockroach has been frequently confused with its German cockroach cousin. Uncovered in Lakeland, Florida in 1986 by a professional pest control operator, the Asian roach was initially identified as a German roach. However, peculiarities in its behavior led to the discovery it was not German, Blattella germanica, as originally believed, but Blattella asahinai, the Asian cockroach. Fortunately, the NJ bed bug specialists are experts at identifying these pests. The primary habitat of Asian roaches is outdoors in shaded or composted areas, where fresh plant litter accumulates. Asian cockroaches have a longer, narrower wingspan than Germans, with wings extending past the tip of their abdomen. Unlike the German cockroach, Asian roaches are strong fliers. They are most active after sundown, but will take flight in daylight if disturbed. When viewed from above, the stripes on the Asian roach are darker and more defined than those on the German roach. The abdominal midsection of the Asian roach appears white, while that of the German roach appears lightly pigmented. The egg capsules and nymphs of the Asian cockroach are smaller than those of German cockroaches. The NJ bed bug specialists at Stern Environmental have skills eliminating an array of pests. Learn more about our effective cockroach control methods today.